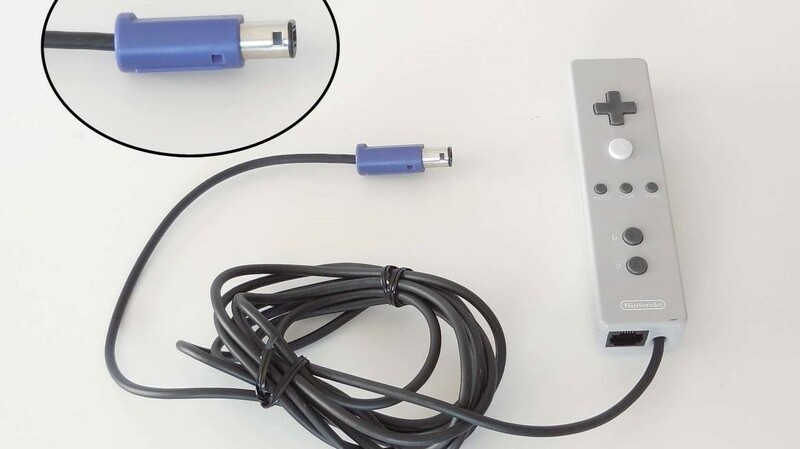 Last week, a strange GameCube controller styled almost identically to the final Wiimote design was listed on Yahoo Auctions and quickly snatched up. 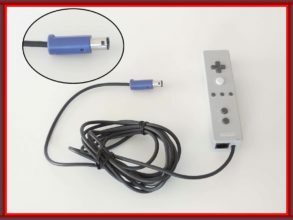 The controller appears to be a rudimentary Wiimote with a GameCube controller connector. 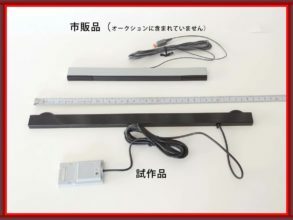 The listing also included an uncommonly long sensor bar sporting a GameCube memory card connector, and a familiar looking nunchuck with an ethernet cord. 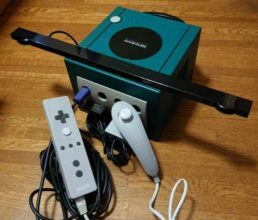 One game developer has vouched for the legitimacy of this rare controller, and it is speculated to have been used by game makers while testing the Wii controller type on existing GameCube development kits. The buyer of this unusual equipment paid a hefty $663 (74,000 yen) for it, and told Ars Technica that he has been unable to make the controller function on the consoles he owns. He also has not yet opened the controller up to see if it contains compatible accelerometer hardware. Game development director at WayForward, James Montagna, claimed in a tweet that he remembers seeing this type of controller “back when [the Wii] was still known as the Nintendo Revolution!” He also noted that the controller’s d-pad and primary buttons were lifted from the Game Boy Advance SP. 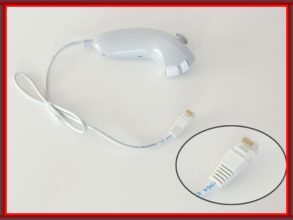 The fact that this iteration of Wii prototype controllers has been kept under wraps all this time is surprising, but it’s exciting to know that there are still gaming artifacts left to be discovered. Some other controllers from the Wii’s development and time under the name Nintendo Revolution were previously uncovered, and you can check those strange pieces of hardware out here. What do you think of this newly unearthed Wiimote prototype? Are there any GameCube games you think would have benefitted from motion controls? See more photos of the controller in the gallery below and share your thoughts in the comments!